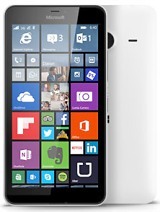 The lone non-Android phone in this feature and the laurel goes to Lumia 640XL. With a screen size of 5.7 inches (compared to the 5-inch display of the 640), the Lumia 640 XL is one of Microsoft's largest smartphones. Despite its size the Lumia 640 XL is comfortable to hold, light and feels good in the hand, and the larger body accommodates 3000mAh battery with ease. Running on Windows Phone 8.1 (upgradeable to Windows 10 mobile), Lumia has a select consumer base who have kept their affiliation with Windows as a cross-platform OS intact. Then there’s a small element of Nokia visibly showing up on the Lumia which carries its own loyal base of yesteryears.